If you are considering cremation as an option for how you say goodbye, you’re not alone. According to statistics provided by the National Funeral Directors Association, the choice of cremation has been increasing for decades in the United States, from fewer than four percent of memorial services in 1960 to approximately 41 percent in 2010. That number is expected to reach 53.5 percent in 2018 and it’s estimated that by 2035, cremations will be selected in 80 percent of all services. It can be a more affordable option. You have more location choices for burial. Many people view it as more environmentally friendly. It’s more widely accepted today. It can be a faster and easier option. It should be noted, however, that not all cremations are the same. Just as no two people are the same, cremations are likewise individual. That’s why at Forest Lawn, each cremation comes with a memorial service that’s personalized, bringing family and friends together in a final goodbye that’s designed to heal their hearts. 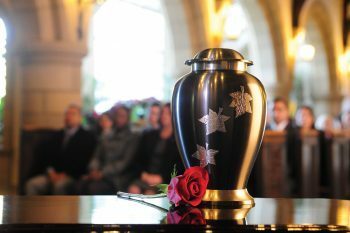 Forest Lawn’s cremation options are also individualized, ranging from simple visitations, to memorial and funeral services, to committal services conducted at a niche or grave. We also offer a wide range of urns and keepsakes that help make a cremation service even more personal. Click here to see some of the many options that are available. Is cremation for you? Let us know your thoughts.